Last week, in partnership with Jordan, Shopify, Darkstore and R/GA, Snapchat pulled off an augmented reality sales stunt for the books. Launched timely during the highly anticipated NBA All-Star 2018 weekend, the image messaging and multimedia app promoted the new Air Jordan III Tinker sneakers, which went on sale exclusively via QR code. The sneaker release sold out in a whopping 23 minutes. 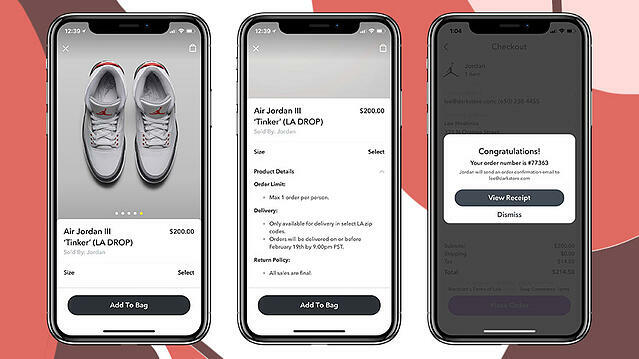 Later, guests of a Jordan brand-specific event received the scannable QR code, allowing digital entry to the Shopify-powered Snapchat store for exclusive sneaker purchase. With the help of Darkstore, a same-day delivery service, customers returned home hours later to their orders awaiting them by doorstep.